Football Freeze is here! Learn all about it! As the calendar flips over to December, it’s time to put away the stuffing and turkey, and it’s time to start decorating and singing your favorite Holiday songs. 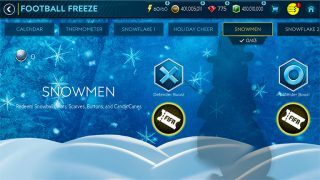 FIFA Mobile is celebrating the holidays this year with a new spin on a classic tale: Football Freeze. To begin with, every day that you log in during the month of December, you’ll receive rewards via the Holiday Calendar. You’ll also be able to play through multiple event chapters, each with a different theme and set of spectacular rewards. To start, you’ll make your way through the Thermometer Chapter, which rewards you your choice of Cold or Hot points that you can then use in the Snowflake Chapters. 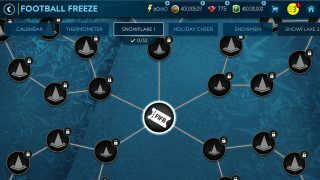 Within the Snowflake Chapters, you will be able to earn different items for the rest of the Event, such as Holiday Cheer, Frozen Gifts, and more. The Holiday Cheer Chapter will feature a beautiful tree with lights and garland hung across. As you play through the Snowflake Chapters and earn more Cheer, different Rewards will “light” up for you to claim. Progress through all of the Snowflake Events to light up the entire tree and unlock Frozen Star Master Alexis Sanchez! 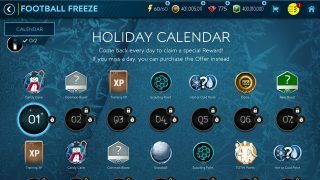 Of course, throughout the event, you’ll have an opportunity to open Frozen Gifts, each with a variety of rewards, including the potential for an additional Frozen Star Master Player Item and much more. Finally, no matter where in the world you live, you can build a Snowman in FIFA Mobile! 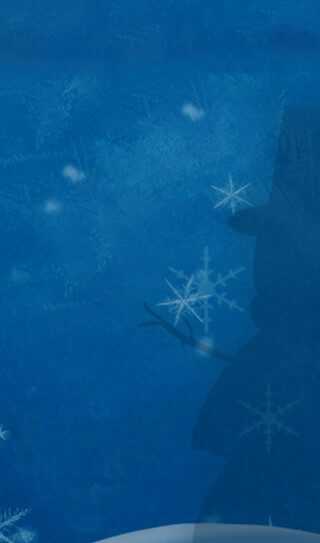 Using snowballs or specific Snowmen items such as Hats, Scarves, and Buttons, completing a Snowman grants rewards, and by building specific Snowmen, you’ll be able to earn the ultimate prizes, the Snowman of the Match Masters! We hope that Football Freeze brings you good cheer and joy, and we can’t wait to see you on the pitch!